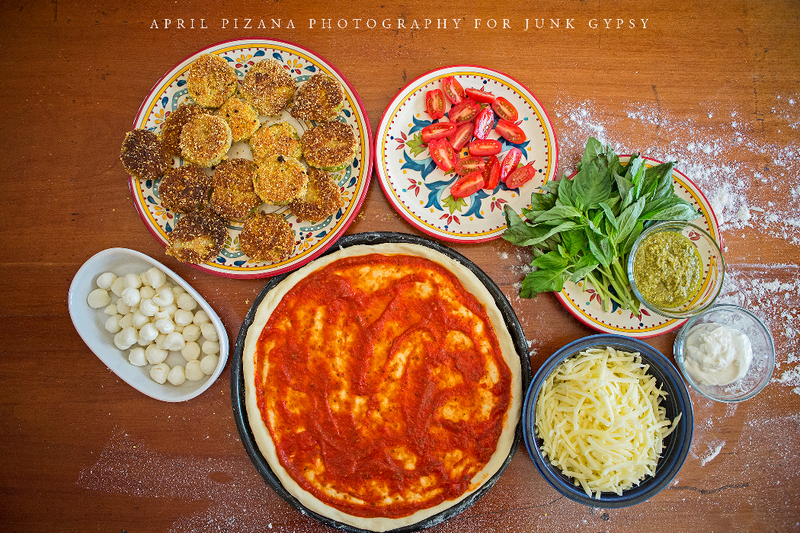 ok. so it’s no secret we kinda like to junk gypsy-fy spaces…and ummmmm….it’s probably also no surprise that we love to cook. 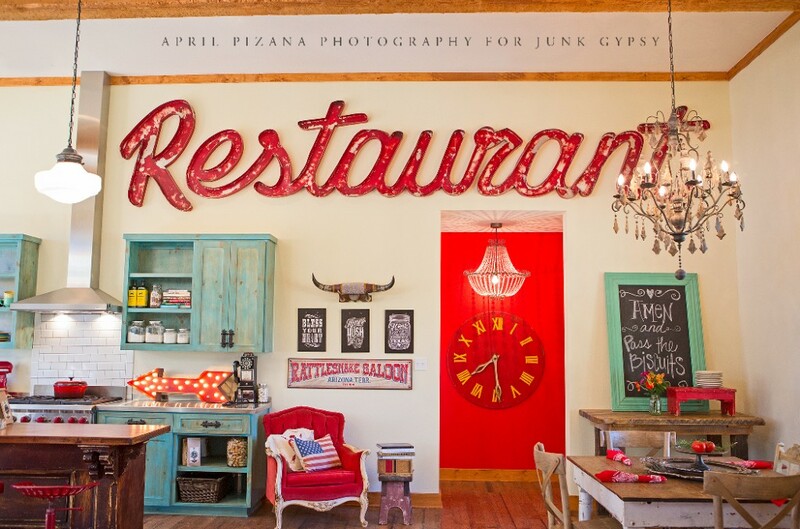 (opening a restaurant is pretty much our back-up plan if this junk gypsy thing doesn’t work). so it was super exciting when WHERE WOMEN COOK called wanting to merge the 2 things we love to do in one beautiful article. 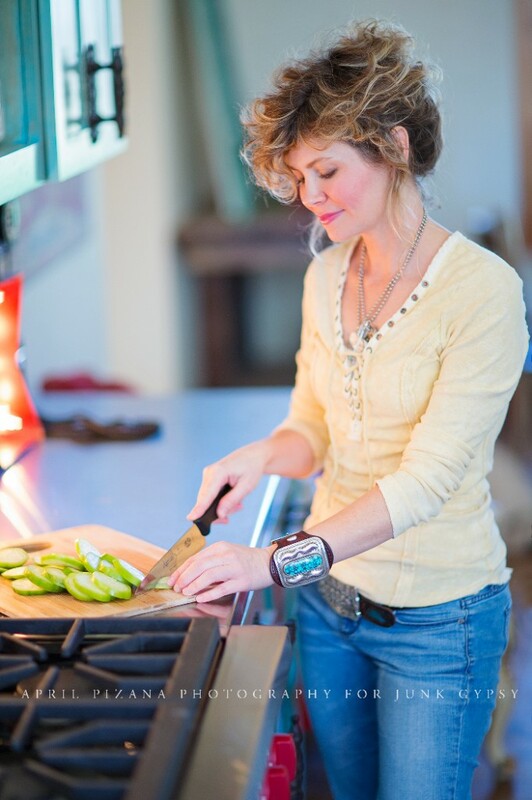 this summer, we are like totally stoked about being featured in WHERE WOMEN COOK magazine…a fantabulous print publication that features women in their spaces…and the recipes they love most. it’s a culinary journey of food, stories, and creative ideas. 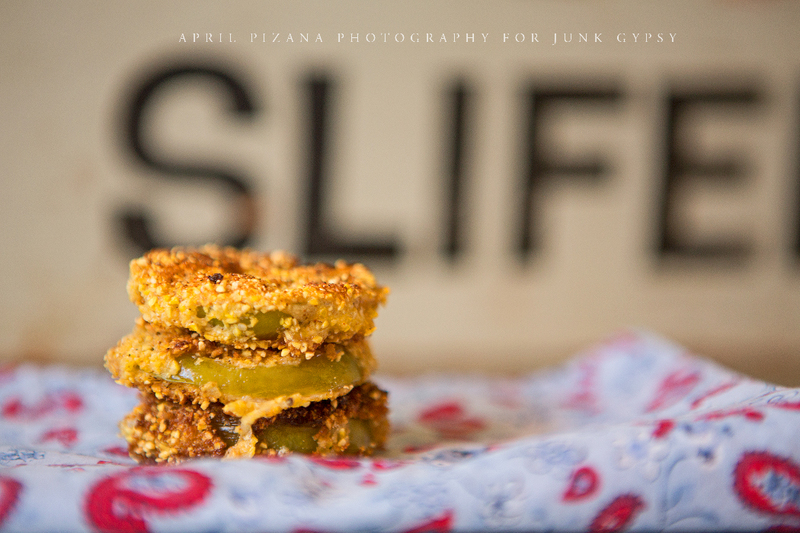 the icing on the cake, is that the pictures were taken by the one and only april pizana….which makes this article a feast for your belly and for your eyes. the one little problemo about this photoshoot was that me, my husband, todd (a.k.a. t-smittY, and our son, cash baker had just moved into our new house a few months prior…anddddd like lots of loco-in-the-head business owners, we tend to put our own needs/spaces as the lowest priority. (i.e. we have decorated everythang in our lives EXCEPT our own houses). 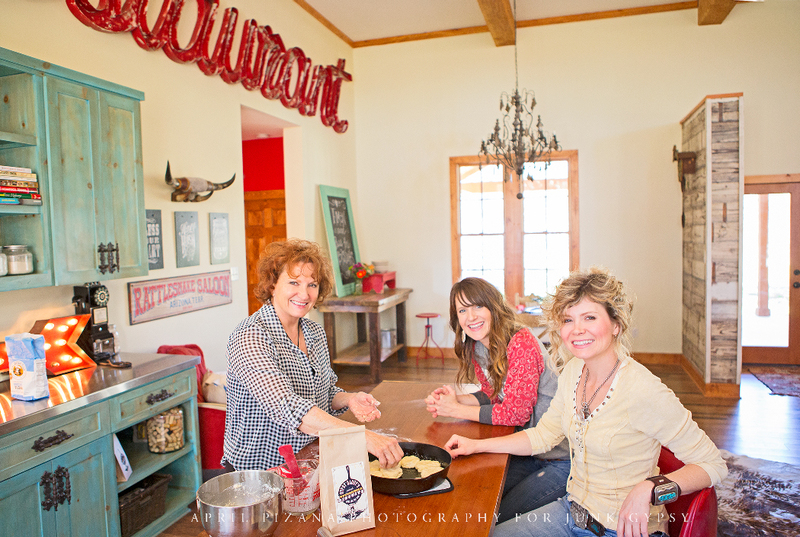 that said, the photoshoot was on the calendar and april was headed to round top in just a matter of weeks which put us seriously under the gun…which i always consider a really, really good thang…because mom, amie, & i always work best under pressure. and although no other room in the house was decorated at this point, at least the kitchen screams JG (which equals love in my book). and of course…we wanted to incorporate the things most important to us. 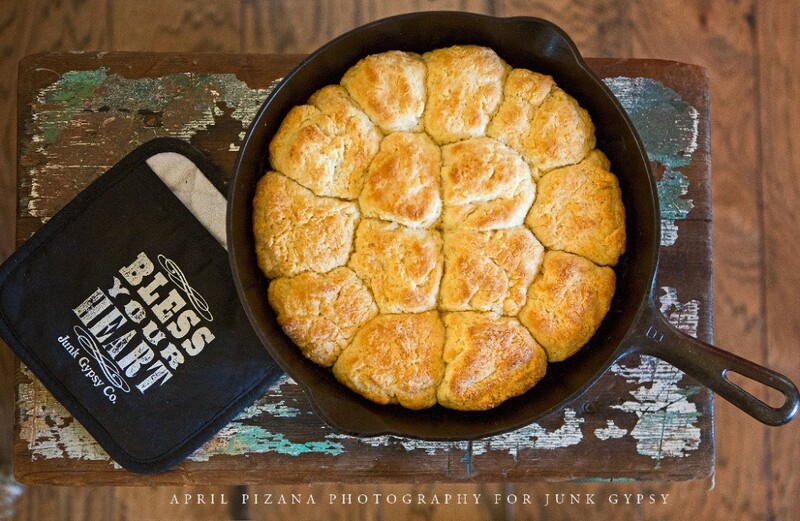 pizza, biscuits, and a real texas flair. 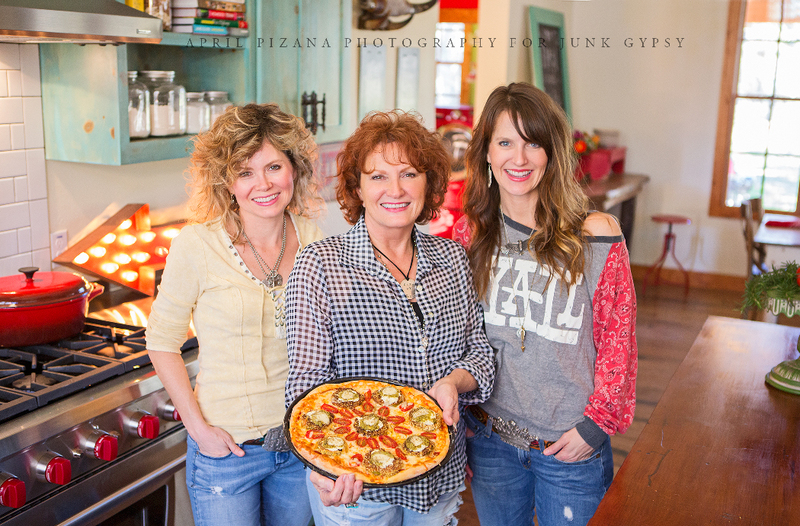 in case you’re new to our story…we grew up in the pizza restaurant business. 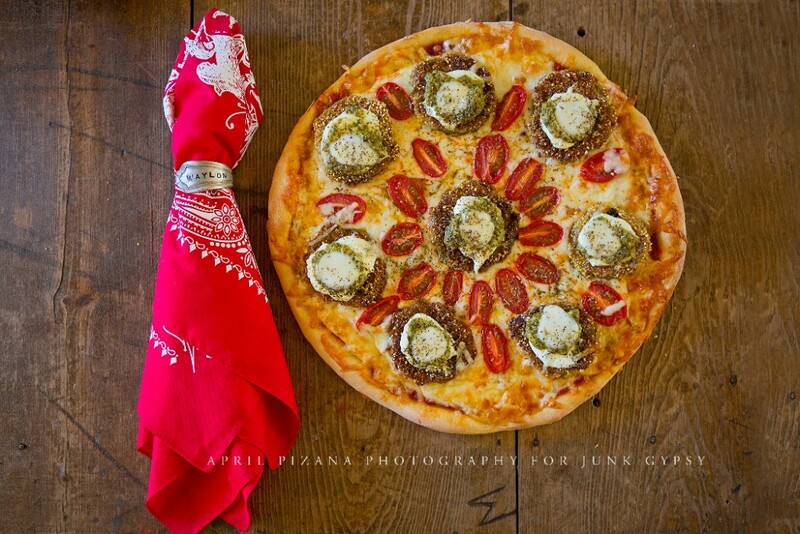 thus i present to you our original recipe – fried GREEN tomatillo pizza with goat cheese & basil pesto…a little bit of tex-mex, a little bit of southern, and a little bit of italian. 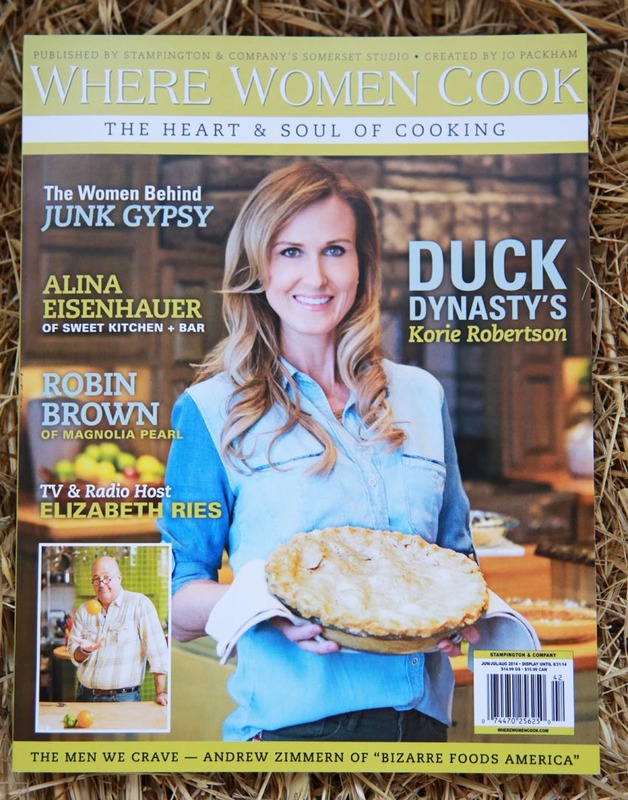 yes, these recipes and so much more (including KoRIE RoBERTSON of duck commander and LynSEy KraMER of YONDER WAY FARM to name just a few) can be found in THIS ISSUE. which you MUST have. you’ll keep it forever. i promise. 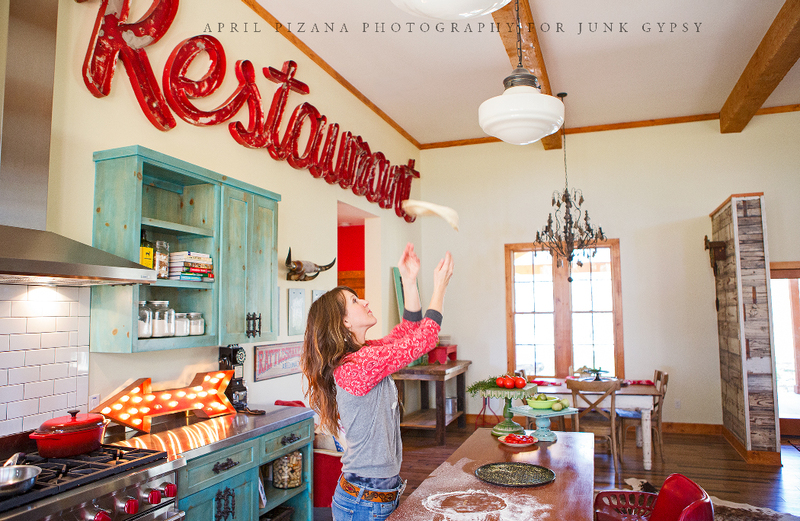 andddd for ALL the pics of my kitchen shoot…check out april’s blog, EAT*JUNK*LOVE, here! yes. 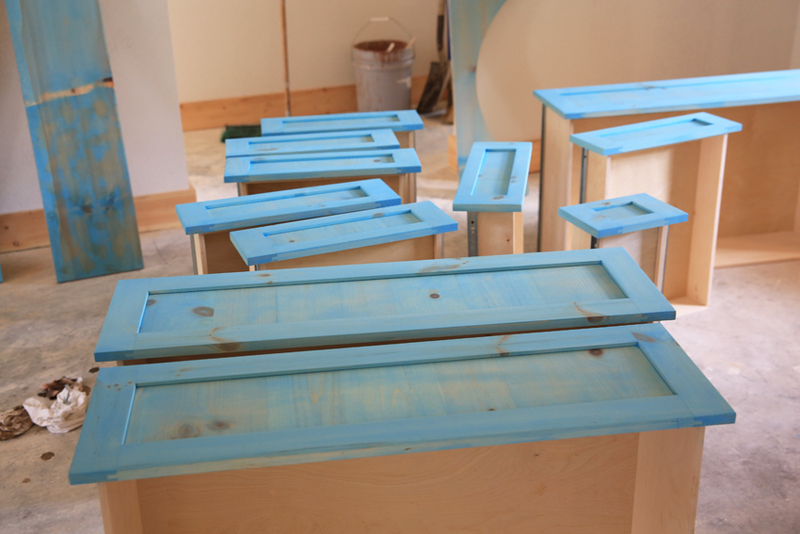 turquoise cabinets. from the get-go i wanted turquoise cabinets…the only problem with turquoise cabinets was that i had never, EVER seen turquoise cabinets in a kitchen before. 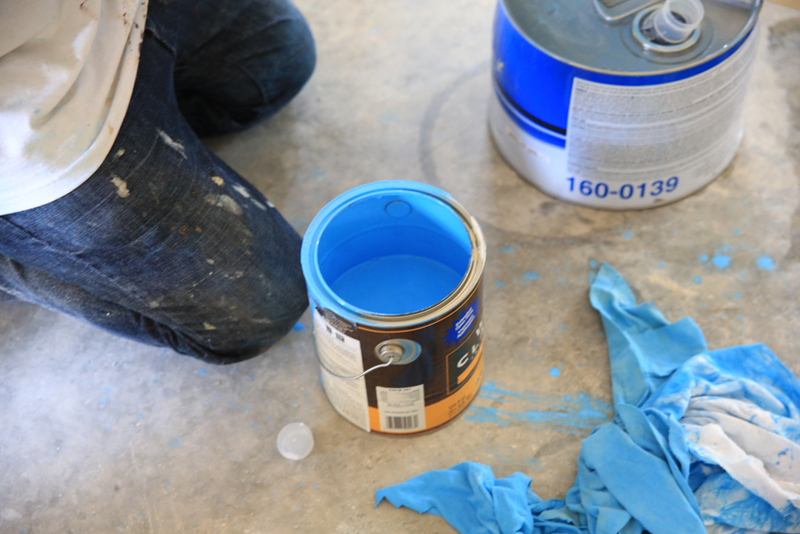 so it was a bit risky…i mean, if i committed to turquoise cabinets and then freaked out and hated them, the only fix would be to paint them. which i really, really didn’t want to do. i wanted STAIN, not PAINT. i wanted to see the knots in the wood. to really keep a natural element of rustic in them. and did i mention that we have commitment issues? and just when my biceps couldn’t make another stroke, just when the volume of sweat couldn’t possibly get any greater. just when i thought i was broken. beaten. and defeated….then, and only then… the seas parted, the skies opened…and turquoise glory poured on out…all over my kitchen. and i, am. in. LOVE. no really, i love those cabinets. they are perfect in every way to me. turquoise. knotty. rustic. and completely JUNK GYPSY. in fact, i love the whole kitchen. it makes me happy. from my chippy, peely 20 foot restaurant sign i scored at antiques week to the old architectural store counter salvaged from THE PEOPLE’s store in lambertville, new jersey (both bought from mark dooley at EXCESS). 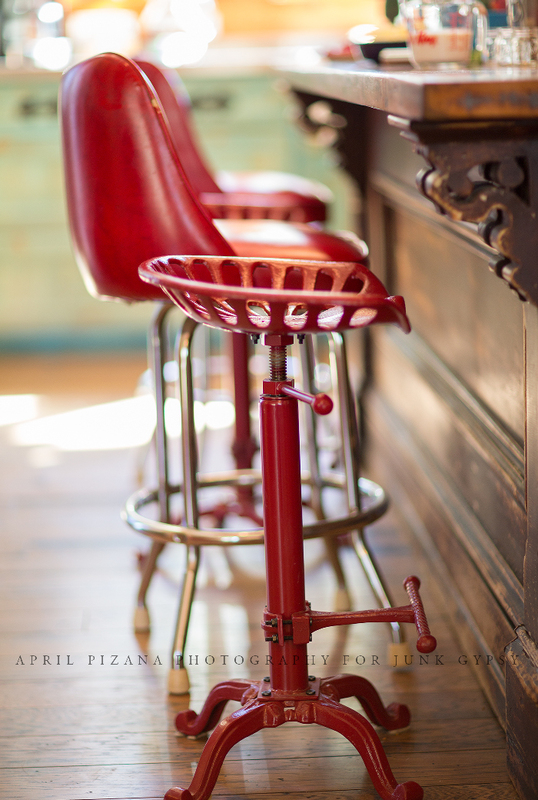 from the tractor seat stools to the mason jar lights. it’s my dream kitchen in every sense of the word and really it’s oh so much more. it’s happy. it is my home sweet gypsy kitchen…full of re-purposed, homemade, and fleamarket goodness. it’s where we feed our bellies and our souls. god bless that gypsy kitchen o’ mine. 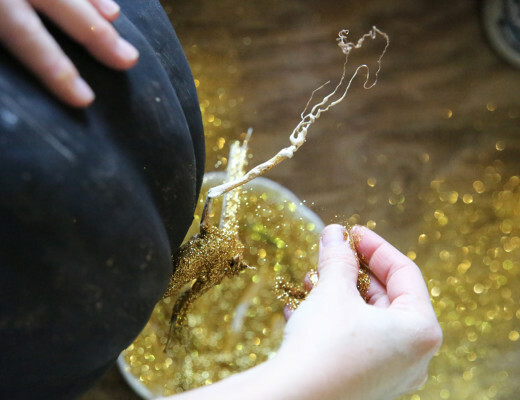 LOoK here to see lots of goodies i used in my kitchen! and cliCK HERE for a SNEAK peek of tomorrow night’s episode! Beautiful kitchen space. Cant wait to read the article!! 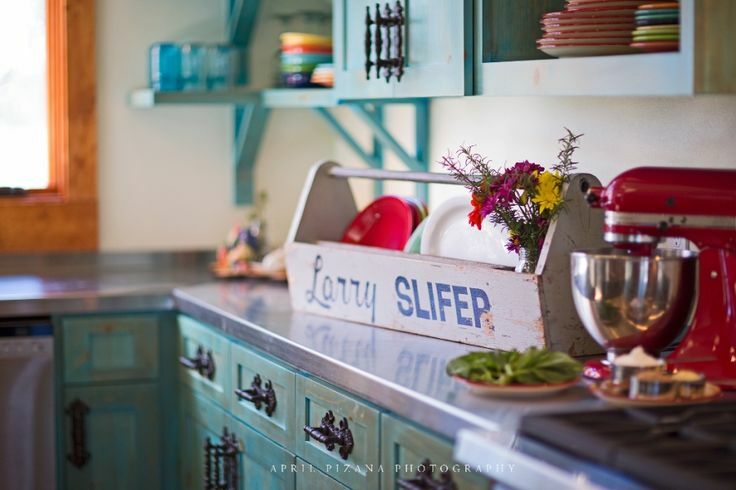 I love, love, love your turquoise cabinets and the whole kitchen! I just did the front of my front door red and the back with the perfect shade of turquoise with a brown stain over it. I am obsessed with turquoise! 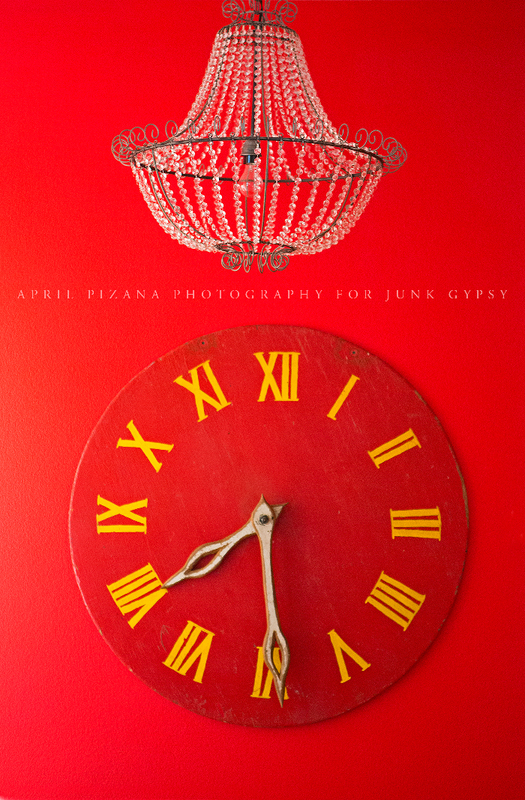 And I must admit…I am a Junk Gypsy wanna-be. Love ya’ll. What a beautiful space to create delicious food from the cabinets to the plates everything looks fantastic. Great job! Love the doors that slide open. What are they going to? Love your kitchen, show and everything you do. I’m a Texan, but live in West Monroe, Louisiana. Plan on a visit to your neck of the woods next time I’m going home to Victoria for a visit. My husband and I are redoing a building and making him a bunk house/farm office, and he is letting me junk gypsy it. He enjoys watching your show and he is very handy himself. Wish I could talk him into us doing more junk gypsy stuff around our place. thank you sooo much! my husband and my dad built the doors (which i sanded and stained)…they lead to the pantry. we used BYPASS old barn door hardware to hang them. I love your family togetherness and showing your love to us all. Your kitchen cupboards are just another feature, great one, of the JG talents. Amy you are so beautiful and Jolie, very pretty. However, all halls looks came from yalls beautiful momma and pop. Thx for sharing your beautifully done work. 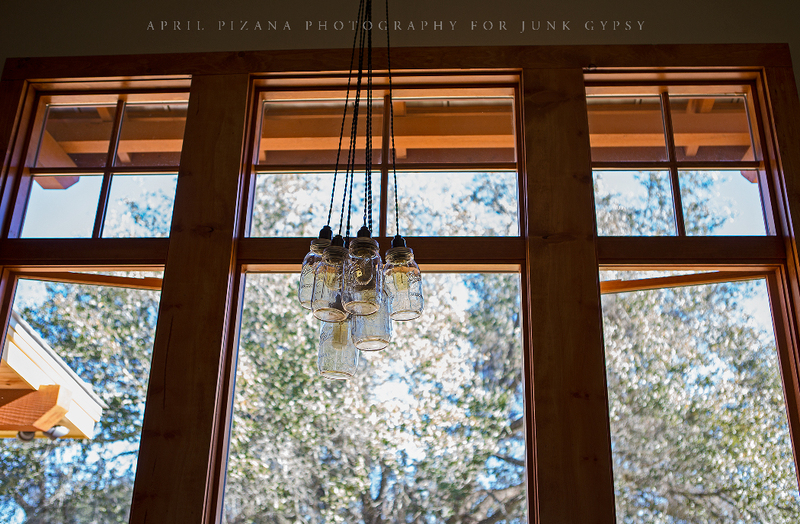 I DESIGNED AND MY HUSBAND BUILT MY DREAM HOME ON A RURAL FOOTHILL LOCATION…..MY KITHEN IS 1100 SQ FT AND HAS NO UPPER CABINETS…..LOVE IT…DIRRERENT, COZY AND THE TALK OF THE TOWN….HA HA HA…. LOVE YOUR SHOW AM PUTTING UP GALVANIZED PIPE TO HAND MY CURTAINS…. I DESIGNED MY CUSTOM HOME AND HUBBY BUILT IT….RURAL, SMALL TOWN, LOTS OF LAND….AND VERY COUNTRY CHIC….KITCHEN IS 1100 SQ FT…NO UPPER CABINETS….MANTLE WITH LARGE RANGE SET IN…..PUTTING UP GALVANIZED PIPE TO HANG CURTAINS…THANKS FOR YOUR GREAT IDEAS….. SORRY FOR SPELLING ERROR….COULDN’T SEE THE WORDS I TYPED. Beautiful kitchen – you all are so talented! I love, love junk gypsy………your style is awesome. I love your chandliers that you make……..One day I will come to your store and buy everything…..love you guys!!! so is ur kitchen open now? 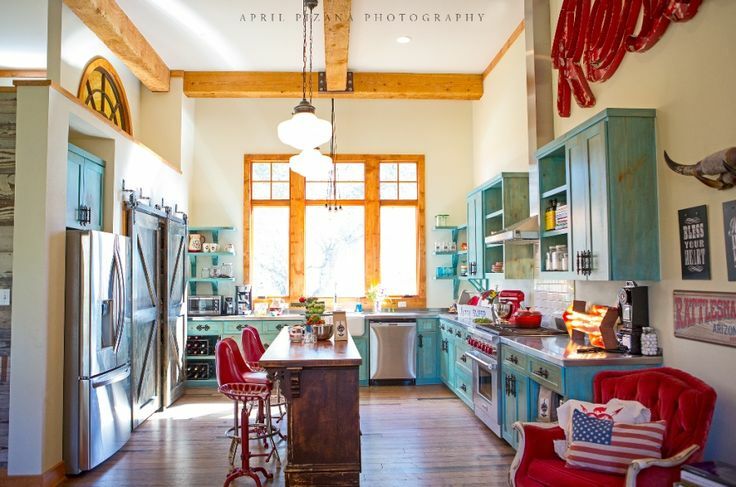 Ohhhhh that is one heck of a kitchen, and I LOVE everything about it!!!! I might even be tempted to cook more if I had a Rockin Kitchen like that!!!! Thanks for sharing!!!! 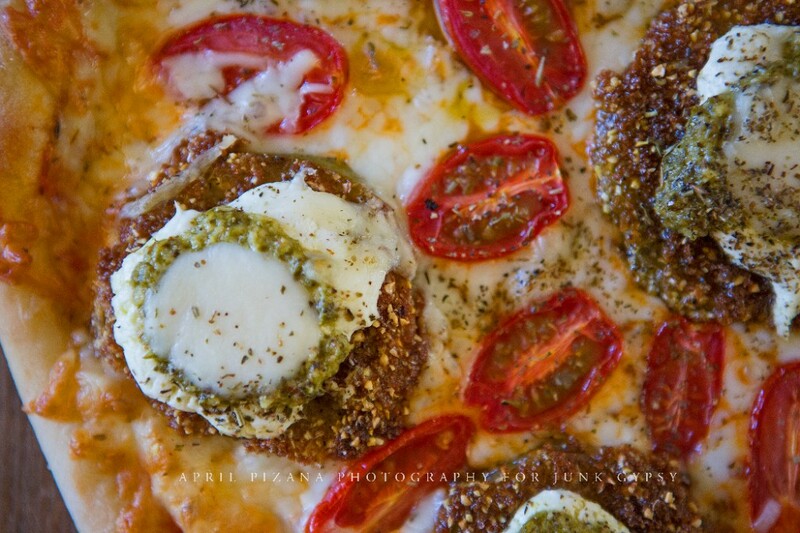 Now, if I could just order a slice of that yummylicious lookin pizza!!! Hugs! What a fun kitchen.. the cabinets are gorgeous. I just re -painted our island a similar color and my family loves it. Your family…. your style..and your lives are such an inspiration! All that love and hard work. 🙂 You have such sweet spirits and amazing gifts. Thank you for sharing and congratulations on your feature and all of your success! thank you soooooo much!!!!!!! XOXOXOXOXO from all of us! I love those cabinets! I’d love a DIY on how you did them. oh my gracious. thank you SO MUCH! 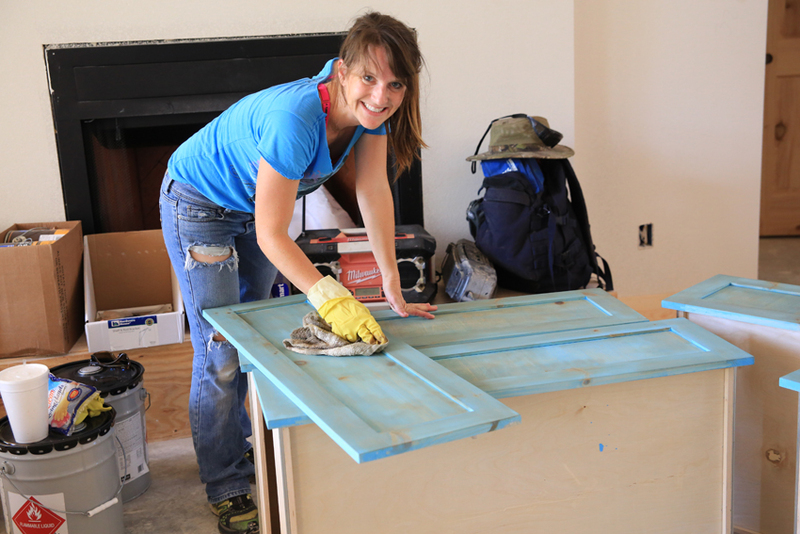 i’ll try to get a DIY blog up sooner or later…it was a PROCESS for sure! awwwww…thanks so much!!!!! and would love to come to AZ!!! Glad you posted these pics so we can really get a look at what you’ve done! 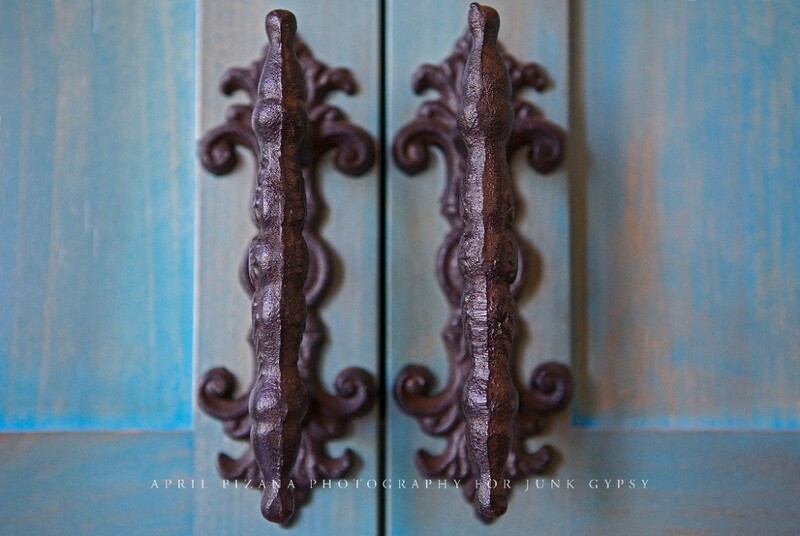 LOVE, LOVE, LOVE your cabinet handles!! Would love to know where to get them…. They look perfect against the turquoise cabinets!!!! we actually sell these on our site…we are out of stock now but i’m hoping they are back in soon! Can’t wait for next season!!!! Been panicking this new year. For some reason either GAC or my server does not show your shows as NEW so they don’t tape! I have scrambled to tape the repeats, so glad for them. still need to see the last one. You gals are great. oh my goodness! CRISIS!!!! i’m sure great american country will be playing re-runs quite frequently!! Ok! Project of the day….Mason jar light fixture…I FLIPPIN’ LOVE IT! 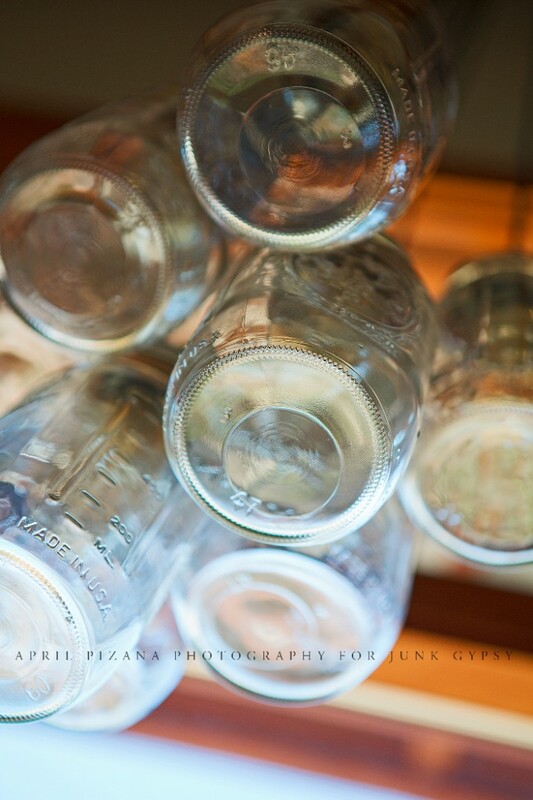 Want over my sink hanging in front of my Mason jar filled windowsill! love this too!!! it was so simple to make and it fits perfectly in the kitchen! i used edison bulbs and wiring that looks old. 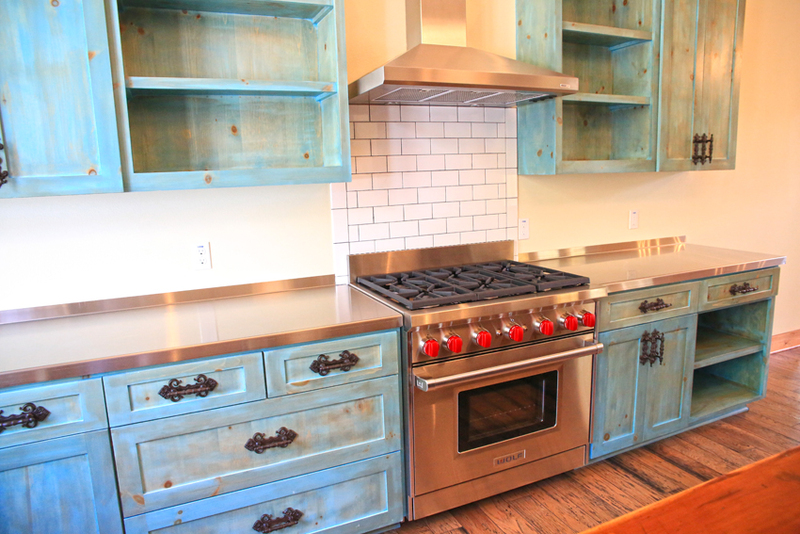 What brand and color of stain did you use on these cabinets? 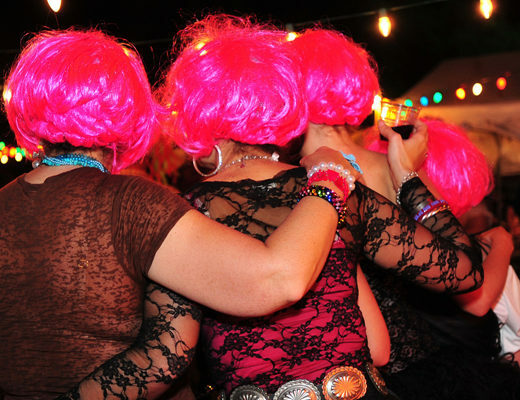 They turned our fabulous! My husband & I are avid fans of your style and show! it was aquarius color from sherwin williams! and thankkkkks to you and your hubs! Way to go on rockin’ the color wheel Jolie! 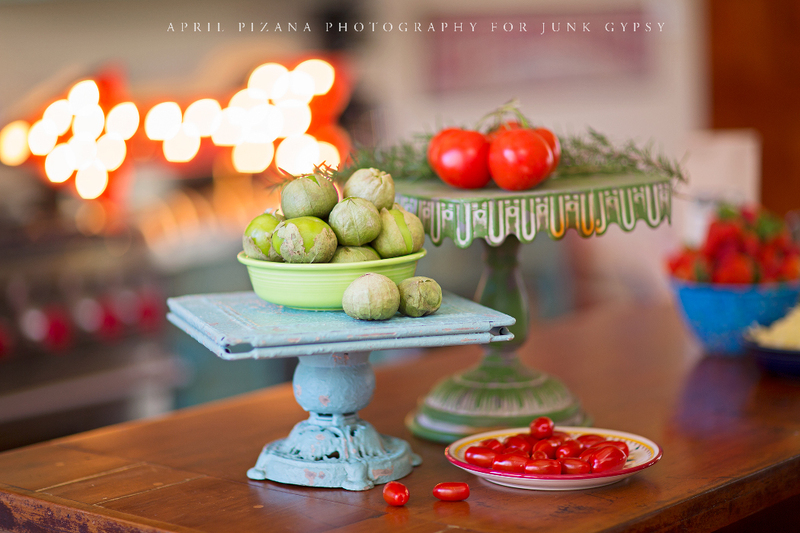 Your color pallette,, tthe food and the jewel of Texas colors…turquoise. all a feast for the eyes and stomach! And who better to capture all that gorgeous color, than the queen of technicolor vision. herself, but April! 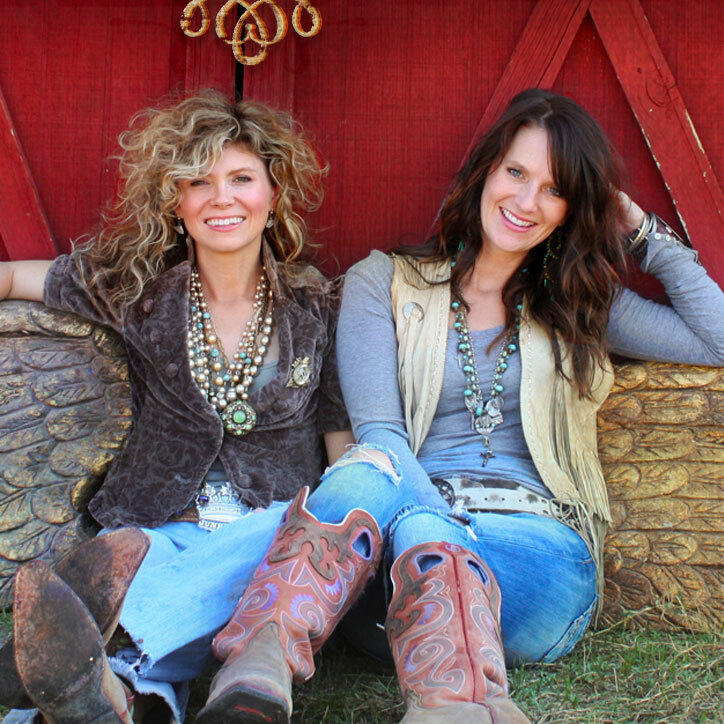 BTW…Janie looks gorgeous , but then she always does! All can say is WOW!!!!!!~!!! Thanks for all the wonderful ideas?? ?/ and the GREAT SHOW !!!!!! thanks sooo much robin!!! thanks for watching and for diggin’ what we do! excited you are headed to round top! it’s awesome!!!! My husband is going to start building a barn/house for us. I love your ideas. I am anxious to incorporate some . Barn living really is cool. I love the ,biscuit, t-shirt and ,bless your heart, are you going to have moe soon ? Just saw your show today for the first time where you were decorating the pink house! I love your post today too! How fun. I love your girly style, your fun personalities and of course I love the photography in this post! I am a new fan! 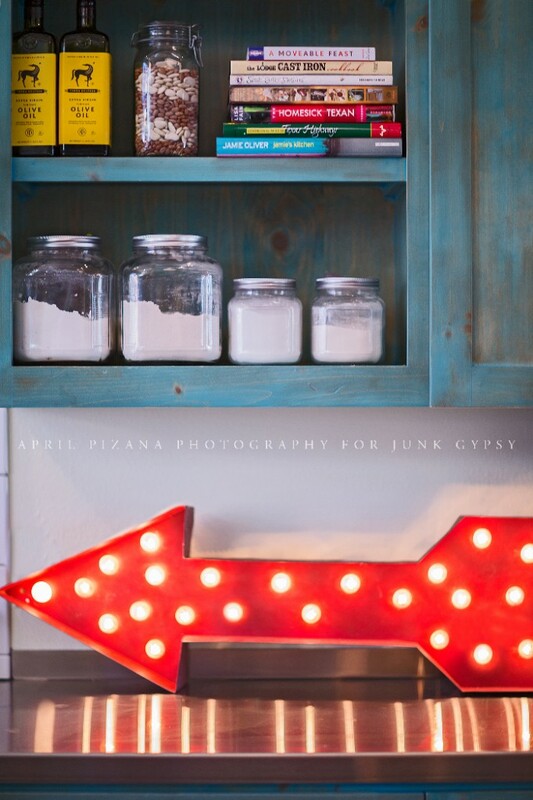 Love the kitchen and was just wondering what paint color you used on your walls? So much inspiration!!! in fact pleasant funny stuff too. Love all this! what is the color on the walls? I LOVE YOUR WHOLE KITCHEN!! I would really like to know the exact stains and paint you used for the cabinets. I am planning on doing this exact same thing to my house but I would love some more information on what you used and how you did it. Especially since it will be my first major DIY! I am so sad that the link for the stuff you used doesn’t lead to that page anymore. 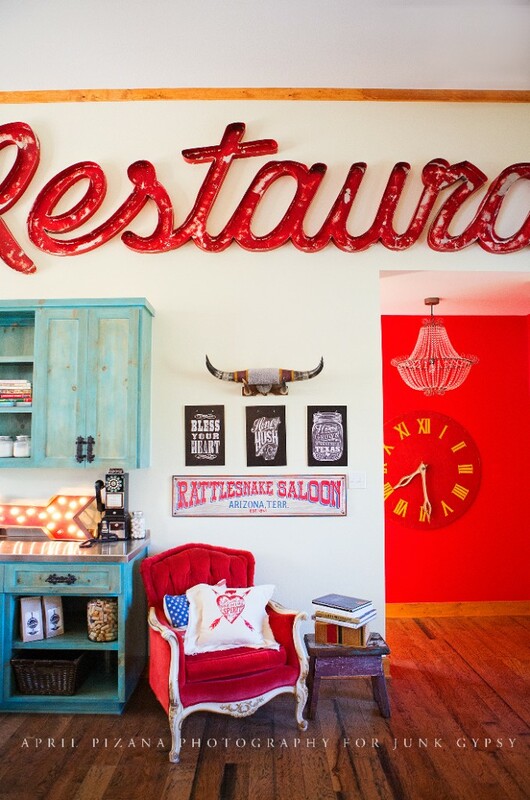 I am absolutely ripping off these cabinets in my house, and I am dying that I don’t have your restaurant sign….but if you could make that link to what you used live again, I would be SO happy! Hi, Ladies! 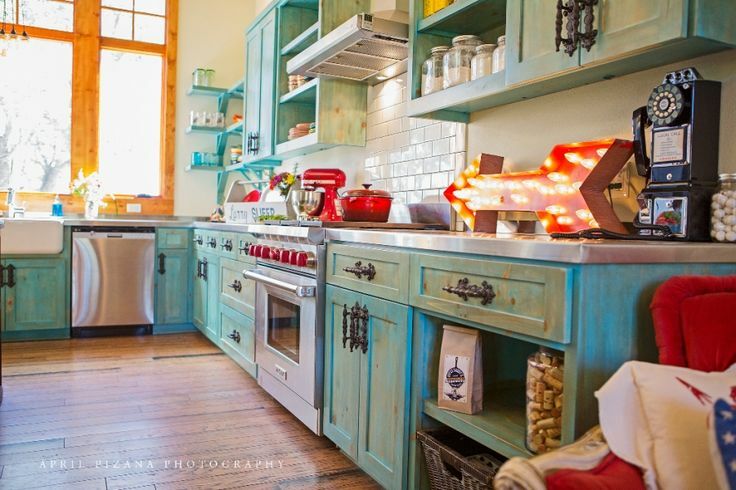 Love your kitchen so much I may do this to my cabinets. My favorite color is turquoise so it’s a no brainer. Love your show. thanks so much for sharing your pics and ideas. That is such a sweet thing to do. God bless you all and have a Merry Christmas!